My travels have taken me to a lot of special destinations, but my past #TravelingTink adventure to Rome, Italy was definitely one for the books! Traveling overseas was something I was born and meant to do! 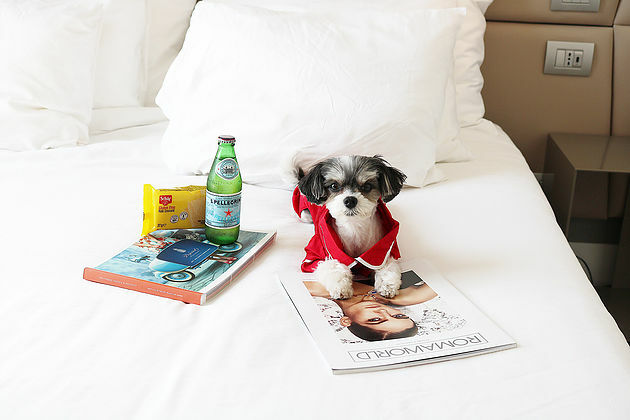 Checking in to the pet friendly luxury hotel NH COLLECTION Roma Palazzo Cinquecento made my arrival extra special! I was provided with these classic custom NH Collection dog bowls and homemade Italian dog treats! There is also a complimentary bottled water left in the room every day, so I would never go thirsty! The room was very spacious for a European Hotel. I had a living area, bedroom, very roomy bathroom and a terrace overlooking the beautiful city!! Most restaurants in Rome during the summer time have outdoor seating, so they are extremely pet friendly! Thank goodness, because I wanted to experience all the cuisines! The Shopping scene in Rome isn't that bad either and the cobblestone streets make for fabulous photo opps! 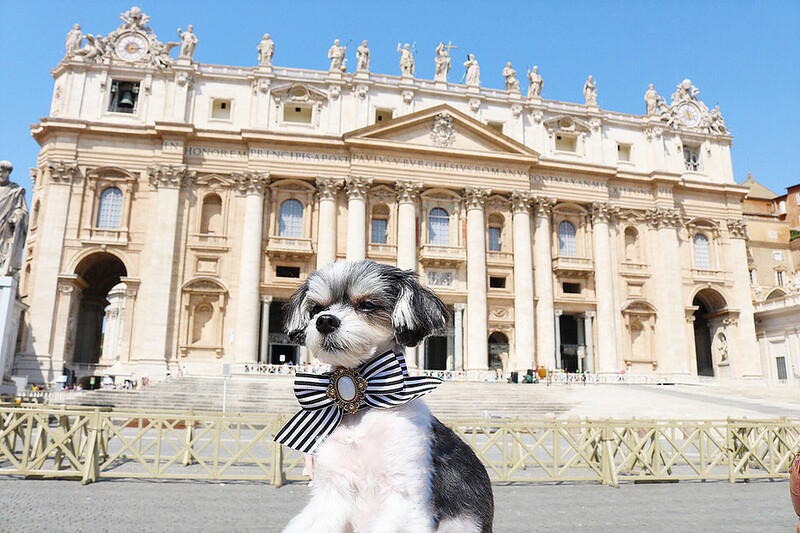 Rome, italy is definitely a Pet Friendly Destination but it's also a true diva's destination!